What might be the cause of seizures in my pet? There are numerous possible causes of seizures. These causes can be grouped into metabolic causes such as liver and kidney disease, into diseases or conditions resulting in hypoglycemia or hypocalcemia (reduced blood glucose or calcium concentration), and into diseases directly involving the central nervous system (CNS) including inflammation, infection and tumors of the CNS. Toxins, trauma and infectious conditions may also result in seizure activity. Occasionally seizures may be idiopathic (of unknown cause). How do we determine the cause of seizures in my pet? "A thorough history and physical examination may give us 'clues' to the underlying cause of seizures in your pet." A thorough history and physical examination may give us 'clues' to the underlying cause of seizures in your pet. For example, a puppy that is much smaller than its littermates, and who shows seizure activity after eating, may have a congenital liver problem (specifically a portosystemic shunt, which is a developmental abnormality). A mother dog nursing a large litter of puppies may be suffering from a calcium deficiency. A dog or cat that roams freely is more likely to have eaten something toxic. Often the cause of the seizures is not immediately obvious on physical examination. In these cases, a series of screening tests will be recommended to rule out metabolic causes. These screening tests include a complete blood count (CBC), a serum biochemistry profile, and a urinalysis. What might these screening tests indicate? The complete blood count (CBC) provides us with an evaluation of the red blood cell, the white blood cell, and the platelet components of a blood sample. A hematology (blood) analyzer will provide us with the total numbers of these cells, and evaluation of a blood smear will allow us to look at the physical characteristics of these cells. Underlying inflammatory or infectious conditions of the CNS may be indicated by an increase in total white blood cell numbers. A markedly reduced platelet count may be associated with underlying bleeding episodes, which, if they occur in the brain, can cause seizures. 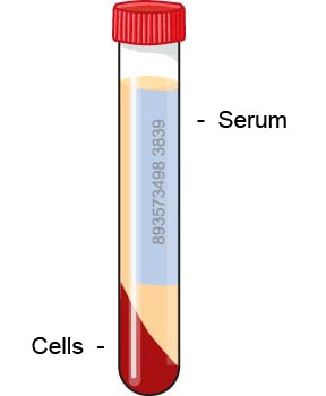 The serum biochemistry profile provides us with an evaluation of many organ systems including the liver and kidneys. In addition to organ related enzymes, the biochemistry profile evaluates blood glucose (sugar), proteins, and electrolytes. Underlying liver disease may be indicated by increases in the liver related enzymes alanine aminotransferase (ALT), alkaline phosphatase (ALP), and gamma glutamyltransferase (GGT). Decreases in serum glucose, proteins and urea may be associated with more advanced liver disease. Liver disease may result in seizure activity because the liver is the site of conversion of ammonia (produced by intestinal bacteria) to urea. The urea is subsequently filtered from the body by the kidneys. High concentrations of ammonia in the blood due to insufficient conversion to urea will cause seizures. Hypoglycemia (decreased blood sugar concentrations) and hypocalcemia (decreased blood calcium concentrations) can be detected on the biochemistry profile. Occasionally the underlying cause of the hypoglycemia may also be evident; for example, hypoadrenocorticism (Addison's disease) is suggested by abnormalities in the serum electrolytes. The presence of kidney disease may be indicated by elevations in two substances, urea and creatinine, which are normally filtered by the kidneys. Severe kidney disease may result in increases in blood clotting. If blood clots form in the brain, they may result in seizure activity. 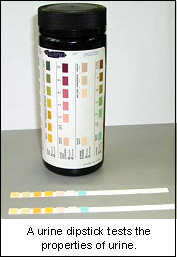 A urinalysis provides us with an evaluation of the chemical and physical properties of a urine sample. A urinalysis is important in any sick animal but also is particularly important for the proper interpretation of any changes in the biochemistry profile, especially if there are any increases in the kidney related metabolites. What other tests might be indicated for the evaluation of seizure activity in my pet? "Any additional testing depends entirely upon the combined results of the history, physical examination, and initial screening tests." Any additional testing depends entirely upon the combined results of the history, physical examination, and initial screening tests. Suspected portosystemic shunts and liver disease might be confirmed by evaluation of serum bile acids. Infectious causes of seizures might be investigated by blood tests for feline leukemia virus, feline immunodeficiency virus, feline infectious peritonitis, toxoplasmosis, and fungal disease. An ACTH stimulation test would confirm hypoadrenocorticism (Addison's disease). If the screening tests do not point to a specific metabolic cause, and the seizure activity is suspected to be of intracranial (brain) origin, then further neurologic testing might be advised. Neurologic testing may include cerebrospinal fluid (CSF) collection and analysis to look for inflammation or infection, or a referral for specialized imaging studies such as CT (computed tomography) and magnetic resonance imaging (MRI) to rule out underlying tumors or congenital malformations of the CNS.